And they’re off! Participants at the 2017 Save the Manatee 5K Run in Michigan. A Virtual Race also allows people across the U.S. and around the world to participate. Take steps to help manatees! You can by joining in the 15th Annual Save the Manatee 5K Run, 2 Mile Walk, and Mini-Manatee-Mile. The race will take place on May 19, 2018, at the Lake St. Clair Metropark in Harrison Township, Michigan. 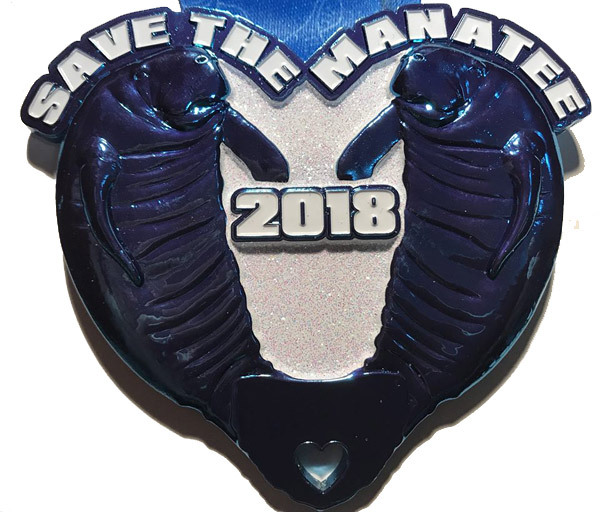 A Virtual 5K is also open to people from around the world, and participants can walk, run, swim, kayak, or rollerblade their favorite course or trail — on the date and time they choose and all in support of manatees. 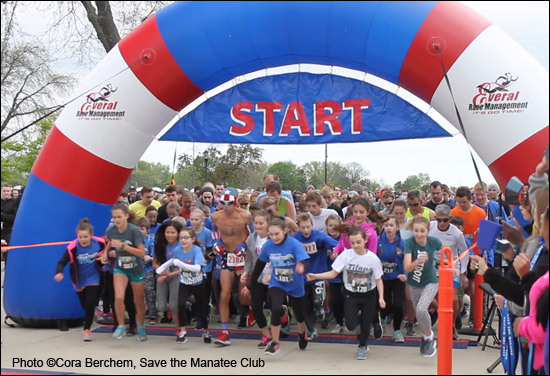 The popular race, hosted each year by L’Anse Creuse High School biology teacher, Lesley Argiri, helps raise funds for Save the Manatee Club’s numerous conservation efforts. Participants receive a race packet with a unique race T-shirt and race bib as well as a newly-designed finisher medal. 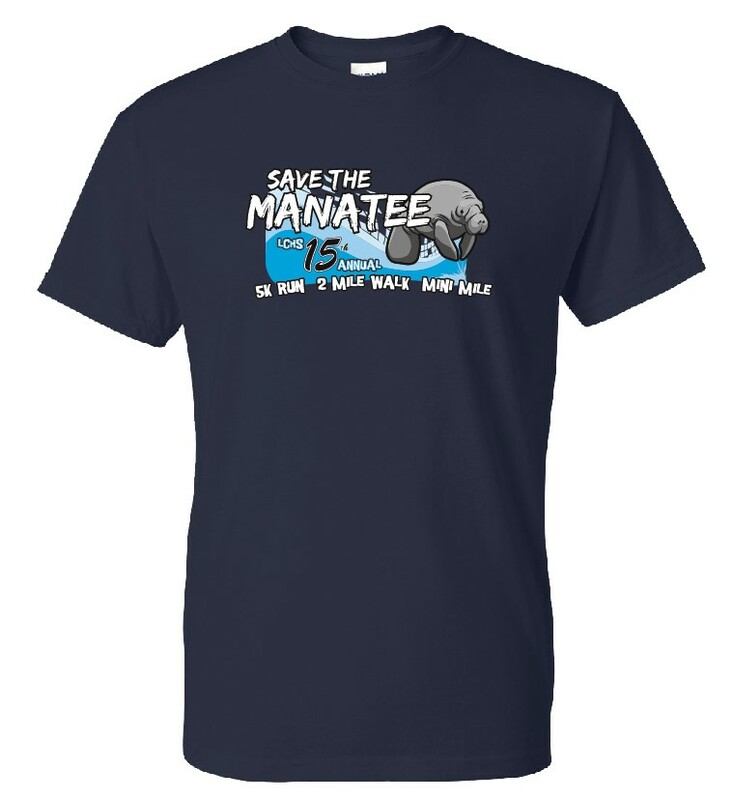 So join us and put your best foot forward for manatees. Click the following link to sign up for the Michigan event on May 19th or click this link to sign up for the Virtual event. Questions? Email Lesley Argiri at largiri1@hotmail.com. Join us on Facebook to get updates on the states that have the most participants! 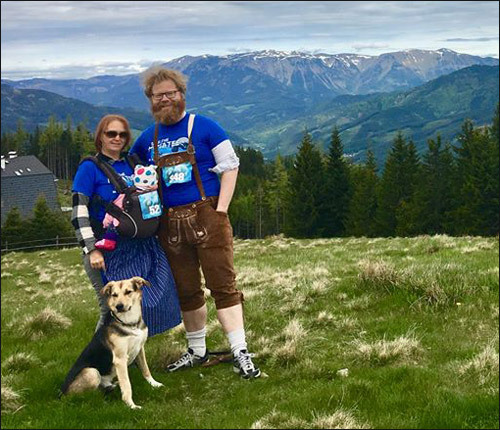 Ines, Robert, and family hike for manatees in the mountains of Austria for the 2017 Virtual 5k.